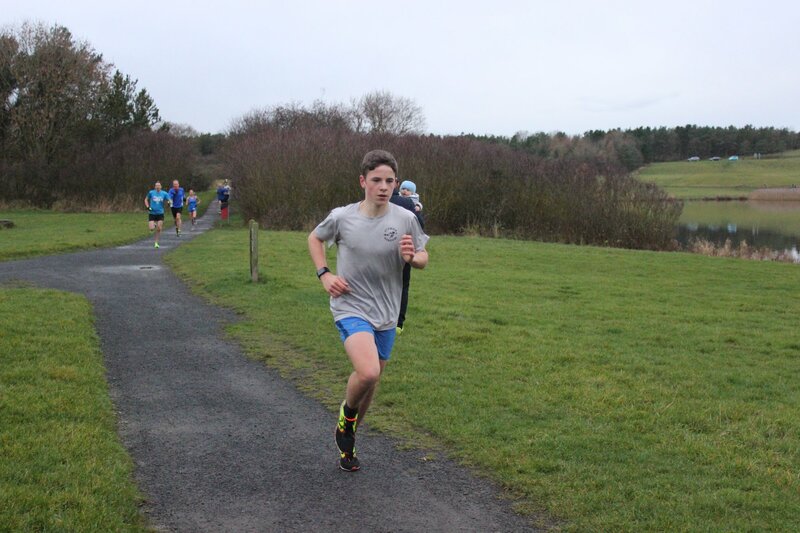 Junior Alnwick Harrier Ollie Telfer showed that the future is bright for the club, storming to victory at the Druridge Bay parkrun on Saturday. The youngster (JM15-17) won the 5k race in a personal best time of 18.01, finishing seven seconds ahead of the rest of the field. It was a great performance from Ollie, who has been putting in some decent results of late and is progressing at a rate of knots. Ollie headed a whole host of Alnwick Harriers who turned out at Saturday’s parkrun. Finishing in the top 10 were Paul White (18.37) and Phil Hall (19.40), while Ollie’s dad Mike came 11th in 20 minutes exactly. First female home for Alnwick was Carole Page, in 21.40. A frequent winner of the women’s race, she was fourth overall this time around – showing just how strong the turn-out was in the ladies’ category on Saturday. Aside from Ollie, a number of other Alnwick Harriers grabbed PBs, including two of his Junior colleagues, with Eleanor Heeley (JW11-14) finishing in 24.13 and Chloe Givens (JW11-14) clocking 25.21. Senior Harrier Robert Enser also ran his fastest time yet at Druridge, notching a pleasing 20.37. 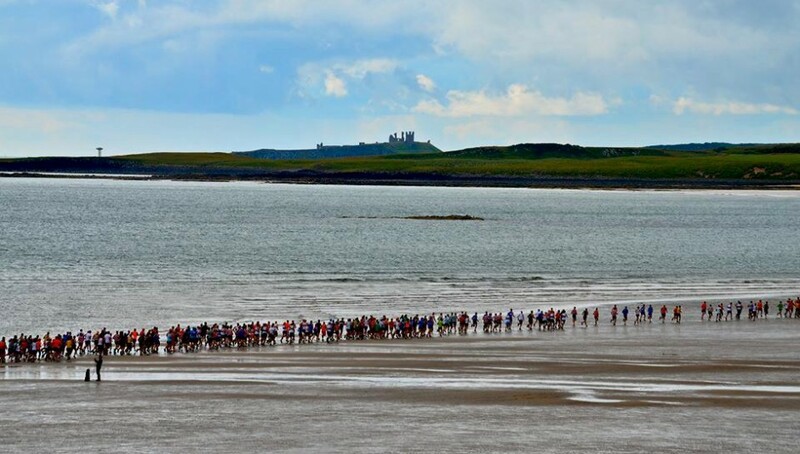 Last Saturday’s Druridge Bay parkrun saw the finish of another Alnwick Harrier Grand Prix. The 2018 top 12 runners are confirmed and are currently having their names engraved on their unique trophies. The presentation will take place at the Hog’s Head Inn, Alnwick, on Wednesday, December 19, after the Parlaufs. Thanks to everyone who ran our races in 2018. The good news we will be doing it all again in 2019. Away from Druridge, a good number of Alnwick Harriers were out and about at other parkruns around the country. Top of the bill was Isaac Moss who finished third at the Sheffield Hallam parkrun in 17.18 – just two seconds behind the winner. Incredibly, in what was a very tight race, there were only three seconds between the top four runners. Talk about a sprint finish! Elsewhere, Zoe Robson (27.27) was in action at the Finsbury parkun, David Hindmarsh tried his hand at the Fountains Abbey parkrun for the first time, finishing in 21.38, and Richard and Gay Eastoe represented the club at the Workington parkrun, crossing the line in the 38.06 and 43.12. 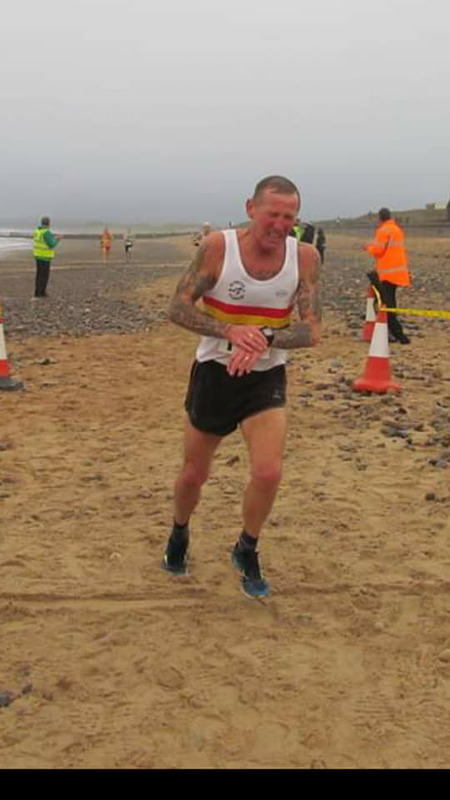 Closer to home, Philip Lee ran 25.26 at the Whitley Bay parkrun. On Sunday, there was an age-category win for Peter Grey at the Blyth Sands Race. In what looked like tough conditions, Peter crossed the line in a very good 39.04, taking the V60 crown. In the same fixture, David Henderson came away with a PB, finishing in 45.26. Elsewhere, Gay and Richard Eastoe ran in the Hoad Hill Harriers Xmas Pudding 10K run at Ulverston. No results have yet been published. Meanwhile, Ian Stephenson clocked 1.52.50 at the Angus Tait Memorial Hexhamshire Hobble – an annual fell race of about 10 miles across Hexhamshire Common.